On Sitecore 8 I added few fields validators. Everything works perfectly on Content Editors but not on Experience Editor. If true, the Page Editor will execute item and field validation rules whenever a user tries to save items in the Page Editor. Only 'Critical' and 'Fatal' validators are evaluated, and item validation rules are executed for the current context item only. 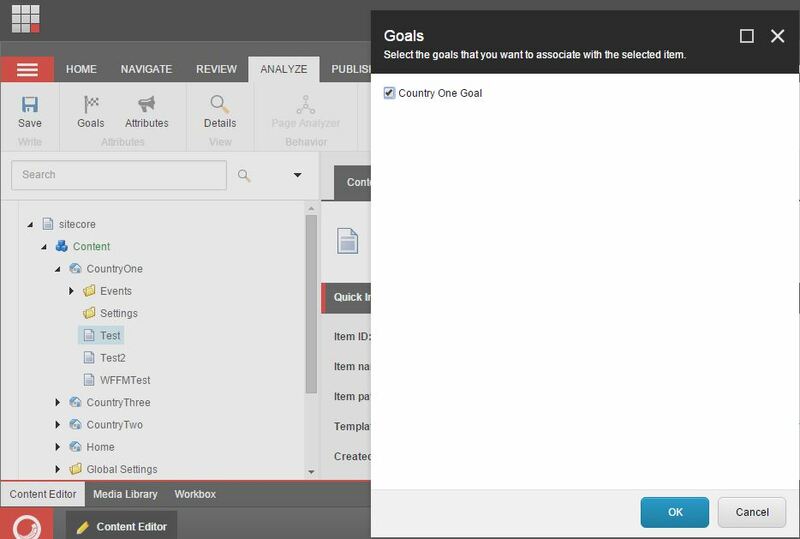 Field validation rules are only executed for fields that the current user can modify in the Page Editor. but is ignored on Experience Editor. I found a new solution switching Experience Editor from Speak UI to Sheer UI. 1. Uncomment the page extenders below and comment the “SPEAK-based” Experience Editor ribbon processors to switch to old SheerUI-based Experience Editor ribbon. And if I write few blog posts about multisite I said to write also a blogpost about implementing goals in a multisite solution. I am on countryone site and I want to add a new goal to a page. 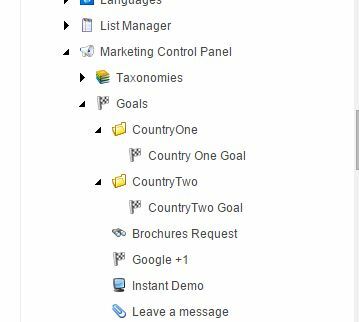 Is showing me just the goals from countryone folder. This code was tested on Sitecore 8.1. In the previous blogpost I wrote about aliases and how to inherit sites from a base site. Also for the lucene indexes is posible to do it. 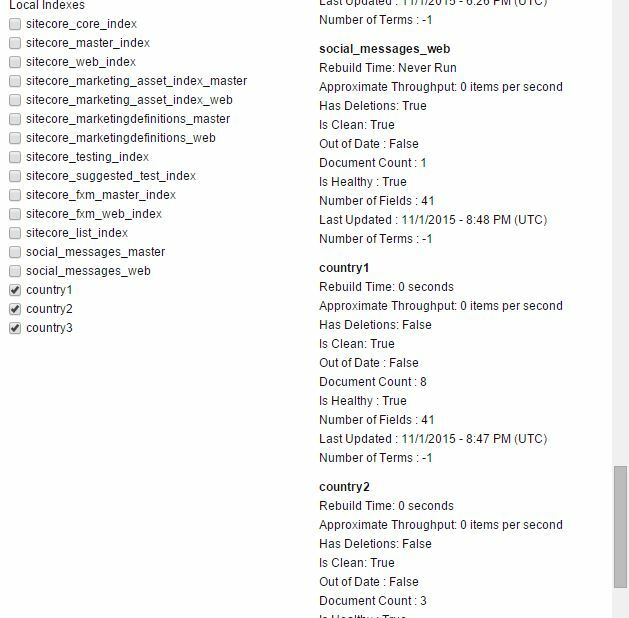 We have a Sitecore solution with 3 country sites that have same structure. We need to create elegant solution for creating indexes for every country. First step is create base configuration, I create a config file (Sitecore.ContentSearch.Lucene.Index.ZZZConfiguration.config ) that I add into a “ZZZ” folder to be the last in configuration file. You can see I replace $(1),$(2),$(3) from first config file with parameters from second config file. On the last Sitecore solution I have worked I needed to add aliases for every site. Default aliases are shared for all sites from the solution. To acomplish requirements we create under the item /sitecore/system/Aliases folders for every site. We rewrite AliasResolver to map aliases to sites . We need to rewrite the entire class Sitecore.Pipelines.HttpRequest.AliasResolver because the methods are private. /// Processes the external URL. Next blog will be about how to create lucene indexes in a multisite solution.